Amelia is one of our presenters for this year's Story Swap. 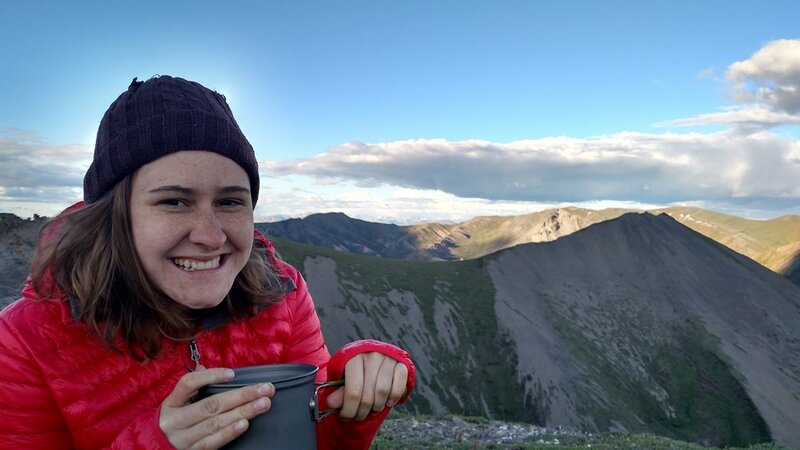 Amelia is a jack of all trades—bike touring, backpacking, hiking, unicycling, performing as a singer-songwriter, studying sign language interpreting and singing in a hippy church choir are just a few of her many hobbies. Amelia will be presenting with her girlfriend Megan about their bikepacking trip to Iceland, where they fjorded rivers, rode their road bikes on mountain bike terrain, and dealt with an insane swarm of bugs. Where are your from and what to you do? I’m originally from Newark, Delaware and currently live in the Callowhill/Poplar neighborhood. I work as a Research Assistant at a sexual and reproductive health and advocacy organization called AccessMatters. I started climbing on rocks about 3 years ago. Prior to that my climbing experience was mostly in trees (my dad is an arborist/recreational tree climber)! I had a slow build, but started leading in earnest about a year ago. I biked a century on a 115 degree day and didn’t die of dehydration. What’s your swap story about? Our bikepacking trip in Iceland—a flight to Iceland was cheaper than the flight to Idaho for the original bike trip we had planned so it seemed like a good idea!